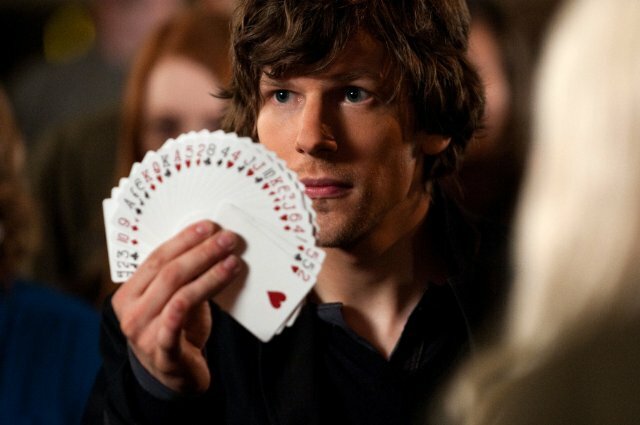 After a couple of years, we are treated with another good magic movie, or to be more precise a movie about magicians. 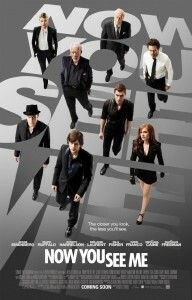 When someone says an all-star cast, you usually expect to see a couple of familiar names, but not all of them as it is case with Now You See Me, where all of the actors are established and great actors with an accent on Morgan Freeman and Michael Caine. Now a good cast without a good script will result in an utterly terrible movie, but with a good script… I wish that this was the case with this movie, but it’s not. Despite its flashy cast and concept, after all that drama you aren’t left with anything of lasting value. So, lets clear out that rather perplexing situation: this movie is great before you see it and while you’re watching, but as soon as it’s over, you will forget about it. A definition of a summer blockbuster and a movie for Netflix, Cable… it swallowed a pretty big chunk and managed to keep it down. Fun Facts: Philip Seymour Hoffman, Jim Carrey, Hugh Grant, Sacha Baron Cohen and Colin Firth were considered for the lead roles before it was decided to go for younger leads.